With the recent onslaught of Fitbits, fitness apps, and other health tracking gadgets, increasingly more people are relying on these devices to maintain a heart-healthy lifestyle. It’s estimated that around one in five people with a smartphone have at least one, if not more, health-related apps on their device. However, according to a recent statement released by the American Heart Association (AHA), there isn’t a lot of scientific evidence to support the use of these types of mobile health devices and technologies to reduce the risk of cardiovascular disease. 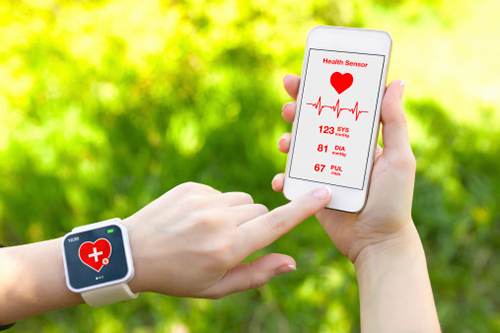 A team of experts on behalf of the AHA thoroughly reviewed several clinical trials and meta-analyses about mobile health technology conducted over the past decade. They looked specifically at how these types of technologies affected and/or improved risk factors for cardiovascular health based on the AHA’s seven heart health factors: healthy diet, more physical activity, managing weight, avoiding cigarette smoke, lowering blood sugar, controlling cholesterol, and managing blood pressure. The team discovered that a significant majority of the studies they reviewed were short-term and relatively small. Although they found that these mobile technologies did help people lose more weight over the short-term, there was no evidence that the technology helped with maintaining the weight loss over a longer period. The team also found that using online fitness programs did work for increasing physical activity, but there isn’t sufficient evidence to show that wearable devices (such as a Fitbit) actually push people to get more active. With regards to smoking, they found that using mobile apps that incorporate text messages about quitting smoking nearly double the likelihood of them quitting. However, after six months of using the apps, the researchers noticed that the majority of people (90%) fail to quit smoking completely, at least not without using the apps alongside a more conventional quitting program. There was no research to support the use of mobile health-related technology on reducing blood sugar, controlling cholesterol, or managing blood pressure. These findings and the full statement from the AHA have been published in the journal Circulation. Burke, L.E., et al., “AHA Scientific Statement: Current Science on Consumer Use of Mobile Health for Cardiovascular Disease Prevention,” Circulation 2015; http://circ.ahajournals.org/content/early/2015/08/13/CIR.0000000000000232.html, doi: 10.1161/CIR.0000000000000232. Whiteman, H., “Does mobile health technology help the heart?” Medical News Today web site, August 14, 2015; http://www.medicalnewstoday.com/articles/298142.php.